I IZ NOODLES THE CAT: I need a manicure! 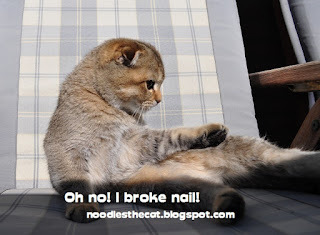 I waz scratching chair and all of a sudden my nail broke! Somebody pleaze fix it!